An acid test for modern conservative and liberal politicians can most easily be found by how the term "sustainability" is defined. For an economic conservative the term sustainability refers to fiscal restraint. The battle cry of the current tea party movement requires government to respect the right of persons to maintain their acquired wealth without the impediment of government interference. For the liberal, private property rights are nullified by the greater good of the community. The extreme is socialism whose tenants state that all land is the public domain. Branson's current mayor and by association Branosn's current Board of Alderman have taken an extremely liberal leaning perspective on economic policy, and development. Over the past two years, thousands of pages of new legislation dictate restrictions on property rights for land owners in Branson. Sustainability for Mayor Raeanne Presley means limiting property rights and strict adherence to the United Nation's agenda 21. Agenda 21 defines sustainability as a local issue and conducts training classes for different organizations on how to legally limit private property rights for the "greater social good"..
We've heard numerous speakers at city hall helping promote a fiscally liberal agenda negating private property rights in favor of environmental regulation. Over a million in tax payer dollars handed out to left-wing community planners and most recently paid an estimated $20,000 for Branson's mayor and friends to attend a conference on how to implement "environmental sustainability" objectives that were birthed far from Branson. Since the trip lacks fiscal practicality I call it one of Presley's many pointless vacations on the taxpayer dime. Dictation regarding what people do on their private property, including the type of vehicle in their driveway, signage in front of their building and soon strict restrictions on building altogether are inspired by a generation of business heirs who desire protectionist legislation to prevent competition in the marketplace. They're grandparents were great innovators and they see no need for others to continue the tradition. The battle cry of Branson's Hotel and Restaurant association of late is, "We have too many hotels". They've adopted the anti-development protectionist attitude which will continue to harm the local economy if it remains unquestioned. Our political leaders have been attending planning meetings in an attempt to stop development in neighboring communities, they fear growth and entrepreneurial endeavors will threaten their established businesses. Not only does this contradict conservative economics it directly contradicts the traditions of the very families they've been born or married into. Shouldn't new families have the same rights as the Presley and Meyers family had when they begat their citizenship in Branson not so many years ago ? In essence, their very financial sustainability is dependent on the fact other families were not interfering with their ambitions as the partook in business development. These great additions to the already existing entertainment and nightly rental market wouldn't exist if there were anti free market agendas interfering with an ambition to innovate. These great additions to Branson's economy might not exist if their grandchildren were at the helm. Branson is the richest per capita county in Missouri; yet our fiscally irresponsible leaders are spending tax dollars to stop business development instead of promote it. Sadly for the community they've been successful and we've seen the results. We've watched crime rates rise. We've watched Presley spend $12 million in savings above the estimated $75 million budget allocated annually. We've seen tax increases, utility increases (a hidden business tax), increased red tape for business and rising poverty. The Obama administration's reinvestment act brought an additional $12 million to build a new bridge which wasn't used as an incentive to save but rather incentive to increase deficit spending. An anti-business agenda is not Branson's past. It is the current administration at city hall's objective - to stop development and if it continues we have no bright future. Eventually, the heir of Branson's entrepreneurial families cut their own throats by denying our heritage. Branson's leadership has determined that they were elected to stop economic growth. The Branson Landing, Branson Hills and Branson Airport in many's eyes represent unbalanced business development. We now see that they are financial engines generating millions in new revenue - new revenue our mayor is happy to spend while criticizing. The community's rejection of past leaders was not a referendum on development, free market economics nor capitalism. It was a referendum on corruption and a new breed of fiscal liberals prove corruption takes many forms. Corruption can be utilized to stop growth as it can to greedily promote it. Much more of the same is to come. Presley has been scheduling public meetings at the Branson Convention Center on Saturday's to plot new spending. Neither the public nor press has attended these meetings. And while on many occasions Presley has given the middle finger to the sunshine law; public notice has been given with little notation on the public record. If you want to understand corruption and liberal politics in Branson; allow me to riddle you this: Branson's leader's are underestimating general fund revenue expenditures by as much as $10 million. You might ask yourself, "Why would Presley under-budget ?" When retailers audit for theft they look for disparity. A cash drawer over stocked is as much a sign of theft as a short changed drawer. It is a sign that money put in the cash drawer has other purposes. The current state of the media - one which republishes prepared statements - often misleading - will report Branson has millions in unanticipated revenue later this year. This will be a precept to new spending. You can bet your business the money will be spent. And you can bet your bottom dollar it won't be spent on economic sustainability measures. After all, fiscal liberals don't understand sustainability, they undermine it. Jeri Sitzes and Jessica Bartess (photo above) will be appearing at the Hilton Branson Convention Center tonight at 7:00. Sitzes holds a World Boxing Council (WBC) Muay Thai belt and competes in title fights with contenders from around the world. Though Bartness is a relative newcomer; she's aggressive in the ring and notes, "I'm happy to find a girl to fight with". Female fighters are a rarity but the trend is changing. Bartness started training for fitness purposes laying a path for what promises to be a fruitful career. Though Sites is chased by those hoping to dethrone her from her title both her and Bartness generally spar with men. Sitzes wouldn't give names last night when asked for a list of men she's beaten during an interview at Hong Kong Buffet on Branson's famous 76 strip. Like jellyfish, female fighters may look pretty but can sting - much worse than a bee. Here's the thing. Outside of being skilled athletes, both girls come across as down to earth and, well, sweet. It's a large contrast from male competitors who tend to be more emotional about their contests. "No I actually think they handle it better than a lot of males. most of the female fighters I have dealt with have a inner switch so when its time to train and or fight they turn the switch on but when its time to be a lady they can turn the switch off." 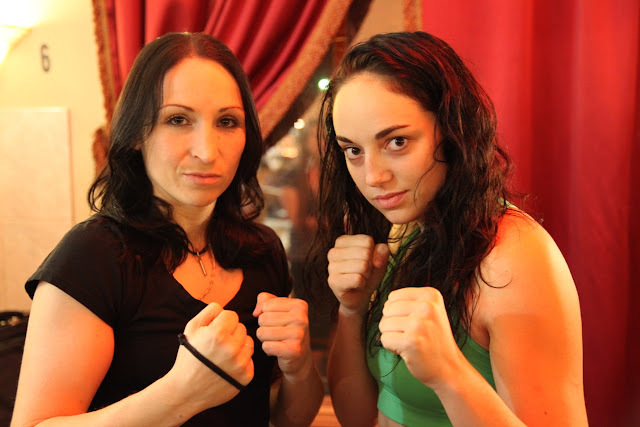 Sitzes lost her game face a few times during weigh-in last night with warm embraces with fellow fighters. She seemed to catch herself and retract - something that didn't come naturally. By nature these are skilled athletes with a proven ability to issue a beating while keeping their natural sugar and spice outside the ring. Christmas in Branson begins two days before Halloween. The first Christmas lights and publicly funded street lights line Branson's main arteries before the 1st of November. Thanksgiving leftovers have made way to late not shopping. Lost leader specials drawing mobs assimilated in long lines outside Branson's department stores. Early reports from Branson beat cops push Target as the most heated frenzy. Apparently a couple patrons had to be subdued with handcuffs but were eventually calmed down enough to be released before formal arrests. Google scores big this holiday season. Android leveraged devices in the form of touch screen phones and pads drastically discount similar offerings from Apple. Walmart launched "doorbuster" specials at 10:00 PM Thanksgiving eve and 12:00 to open Black Friday. Territorial position circled pallets of limited quantities of low price merchandise. A Walmart in Los Angeles was partially evacuated this morning.. To gain competitive advantage 20 people were pepper sprayed by an aggressive shopper reported the Los Angeles Times this morning with detailed accounts of the incident. Black Friday's total spending has been forceast at $500 billion this season up 3% from lats year. 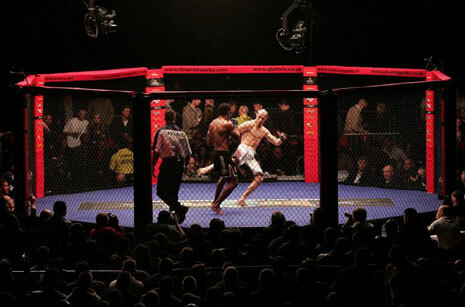 (Branson, MO) Some of the nation’s top Mixed Martial Arts (MMA) fighters will battle at the Hilton Branson Convention Center November 26th in an event billed as “Titan’s Rumble”. Tickets are available for purchase through the Midwest Ultimate Cagefights website (see link at bottom of article. Eighteen live matches will demonstrate a triathlon of hand-to-hand combat skills -- striking, wrestling and ground fighting. The American MMA tradition utilizes efficiencies from a variety of international fighting schools including boxing, wrestling, jui-jitsu, muay thai, judo and karate. Athletes can earn victory through knockout, submission or decision. A technical knockout occurs when an opponent is stunned, submission at the will of a fighter and if necessary, a decision by three judges who will be scoring the event. The United States Marines MMA program has the motto, “One Mind, Any Weapon”. In combat lack of lucidity is certain death forcing an end to the contest. Though combatants serve and receive hard blows, the threshold for a technical knockout is low. MMA is one of the safest contact sports in America. Training videos from the United States Army circa 1909 define the sequence of a typical match starting with striking and ending with wrestling or jui-jitsu. Full body boxing or striking is generally followed by wrestling a.k.a. grappling. Match sequences vary by the disciplines and skill sets mastered by participating athletes. Forty-five percent of fights end on the ground with a fighter surrendering (submission). At Midwest Ultimate Cage Fights Titan’s Rumble, eight featured professional fights will compete in three 5-minute rounds with a maximum score of 10 points per round. Seven time Ultimate Fighting Championship (UFC) contestant Rob “The Rosedale Reaper” Kimmons will come to Branson hungry for victory. Kimmons fought in two UFC events in the last year. He was outfought by Korean Dong Yi Yang during March 3rd’s UFC Live Event, and submitted with a rear-naked choke by Austrailiajn Kyle Noke in UFC 122. In a statement to MMA Weekly, Kimmons said, “Losing is not an option.” He demonstrated that resolve this year in Independence, MO, where Chuck Parmelee was submitted by Kimmons’ dealing a guillotine choke in the first minute of combat. Kimmons hopes to ride a streak back to the UFC for a spring match. In order to qualify for the UFC, Kimmons must win in Branson and take an additional professional victory. His fighting record boasts 24 wins and only 8 losses. Kimmons will be challenged by Brandon Gaines of Miami, Oklahoma. Both Gaines and Kimmons are contractually committed to compete at 185 pound body-weight. Competitors must meet their designated weight within a mere one-pound variance. One of the most decorated female fighters in MMA is Springfield, MO native Jeri “Fists of Fury” Sitzes, who will battle Jessica “Bam Bam” Bartness of Seattle, Washington. For promoter Tommy Tran it’s a battle of youth vs. experience with two extremely aggressive fighters. “Neither has ever been knocked out,” notes Tran, who expressed it was a fight he was looking forward to witnessing. Sitzes and Bartness will compete using the “8 point contact Freedom Fighting rules”. The traditional name of the sport is Muay Thai and is the most powerful striking discipline known to man. Muay translates to “8 limbs” which identifies the different parts of the arms and legs available for offensive fighting maneuvers. Thai means freedom and is the national sport of Thailand which translates to “Land of the Free”. While brutal warrior nations surround Thailand, it is the only Southeast Asian culture that has never been colonized. Thailand’s national freedom is credited to this distinctive fighting style and has been adapted in various forms by all its regional neighbors including Burmese, Vietnamese and Laotian cultures. The United States military utilizes the striking style as it delivers the most intensive impact pound for pound. The striking style uses torque created by the rapid swivel of the hips to deliver blows with up to 1400 pounds of pressure, a force equivalent to the swing of a baseball bat. Sitzes and Bartness exhibition will span five 2-minute rounds unless a fighter is disabled by blows. The rules allow for punches, kicks, knees and elbows delivered both above and below the waist. Two Branson fighters -- Kenny “Hitman” Fredenburg and Bradley Hamrick -- will make their pro debuts at the Titan’s Rumble. In the heavyweight category, Fredenburg will test Matthew Foster. Both are scheduled to weigh-in at 250 pounds. Hamrick will challenge Aaron Mayes as a Superheavyweight each weighing 265 pounds. Fredenburg has ambitions to compete in the UFC and compares his pre-fight study to preparation for a chess match. After intense daily workouts Hamrick and Fredenburg spar, often emulating styles they are likely to face in the octagon. Tickets are available online at Titan's Rumble Tickets. ***Content in this press release is available for use without further permission. (Forsyth) - Branson Sports Entertainment Complex will likely race to the 38th Circuit Court in both offensive and defensive capacities after appeals to the Taney County Board of Adjustments failed to appease neither the developer of a proposed NASCAR style race track or neighboring land owners who pleaded to the five member panel at a hearing held in the Forsyth High School gym last night. Proceedings lasted over three and a half hours as each appeal was heard. Promises of legal action opened proceedings after nearly half an hour was dedicated to debate the Taney County Board of Adjustment newest member Mark Weiss's recuse from participation. Weiss cited a conflict of interest which Branson Sports Entertainment Complex noted would lessen their chances of a favorable outcome. Displeased with the Taney County Planning and Zoning decision to allow a racetrack south of Hollister project to proceed under specific conditions inspired appeals from five separate parties: Paul Vozar, Anthony and Nyla Espey, Stacy Whitfield, Country Farm Estates Homeowner's Association and Big Cedar Lodge. In order to win an appeal each party would have to win three of four Taney County Adjustment board member's approval as opposed to three of five. The five plantiffs against the development of a racetrack argued that the project would adversely affect property values, increase noise polution and was approved on false, partial and/or incomplete data. Branson Sports Entertainment Complex refuted the accusations and presented testimony regarding specific issues raised. Sound, engineering and economic development specialists spoke to specific issues as instructions were issued from legal counsel. Substantial time was spent discussing means, measuring methods and interpretation of sound limitations. Among other grievances the Branson Sports Entertainment Complex argues there is ambiguity in a decibel limit which was partially resolved by the Taney County Board of Adjustments. Multiple monitoring stations will ensure that a misreading doesn't occur. If noise levels exceed 68 decibels Taney County Planning and Zoning requires the facility pay a $5,000 fine. Engineers questioned the meaning of the term decibels arguing the notation be more specific. Before engaging aggressive legal action Branson Sports Entertainment Complex displayed a track of breadcrumbs proving they were seeking peaceful resolution. The most formidable foe to the project Bass Pro owner John L. Morris was sought to conduct a sound experiment with the motorplex developers. Two of John L. Morriss's race cars were revved at the grounds of the facility while spotters took sound readings. Though sound test results were below the ceiling set by Taney County Planning and Zoning; experts assessed changes in wind an increase in vehicles on the track and neighboring traffic from adjacent hwy 65 could adversley affect readings. In a pinch Branson Sports Entertainment Complex could argue the current Performance Zoning method implies the characteristics of Spot Zoning and lacks compliance with Missouri law. The illegality of Taney County Planning and Zoning could also be used to fight off Bryan Wade using precedents set by Wade himself. In other words Branson Sports Entertainment Complex could fight off Wade's efforts by citing Wade's victories. Some real estate professionals argue Taney County's policy reek of spot zoning applying specific laws to isolated members of the community. While Taney County's Board of Adjustments failed to rule in favor of opponents, the battle is far from over. Political influence including favors from state officials and lobbying efforts to increase red tape seem to be factoring in as a means to slow the project down. Litigation appears likely. A protectionist posture from some of Branson's private businesses also play a role. Branson Mayor Raeanne Presley has cited concern regarding competition for her private business whose defense and success have taken front seat at Branson City Hall. Branson Hotel owners have mirrored the sentiment hoping to spread an anti-development trend in the county perpetuating policies and local governmental procedures designed to inhibit growth.Attempts to sway public opinion assert Branson's lodging industry is overbuilt while some real estate professionals state some hotels are mismanaged. Hollister, a city directly south of Branson, which sits between the city and motorplex voted to refrain from taking a position on the project. Hollister City Administrator Rick Ziggenfuss noted infrastructure improvements could have a positive environmental impact as waste treatment arrangements would move more to sewage lines and away from septic tanks which are more likely to pollute ground water. The minor victory for the Branson Sports Entertainment complex is one of many hurdles the organization will have to face before the project can be completed. A coalition of conservative grassroots organizations in Missouri have COMPLETED a Statewide Presidential Straw Poll from November 9-16, 2011, which were conducted from various poll stations across the state of Missouri organized by Citizens Alliance for Missouri Patriots, a Missouri 501(c)3 non-profit organization. THE TOTAL NUMBER OF VOTES TABULATED IN THIS STRAW POLL IS 995. In order to make publicly known the preferences of the Missouri tea party and grassroots activists for current Republican candidates running in the 2012 presidential race, the following groups and individuals came to a consensus about forming a statewide straw poll in which their groups’ opinions would challenge all other polls and political news coverage broadcast by the mainstream media outlets. As the President and Founder of Citizens Alliance for Missouri Patriots (CAMP), this straw poll was created and conducted using an online program referred to as Zoomerang®, purchased and licensed by CAMP. The Poll Station Hosts were all responsible in managing their poll station by accumulating online and paper ballot votes with registered Missouri voters who came to their nearest registered poll location. The results of this Missouri Tea Party Straw Poll are significant in its simple statement as to who the conservative grassroots do NOT support for President as much as who they DO support. Those who are striving to advance the core values of the Tea Party Movement (i.e., fiscal responsibility, constitutionally-limited government, and economic freedom), reveal with their votes in this straw poll that, although members of Patriot groups across the State of Missouri do not support the same candidate for President, the vast majority agree on who they do not support and have narrowed their choices to a select few. The Republican Women of Greater Kansas City and KC Conservatives were glad to have the opportunity to participate in the straw poll, to weigh in on this process at the grassroots level. There has been frustration over the process of selecting our presidential candidates through primaries that have left many wondering if Republicans were really getting to choose our own candidates, or if the media and crossover voters were telling us who we could choose. Sadly, that has resulted in some of our conservative voters “sitting it out” in past election years, due to dissatisfaction with the final choice. We must do better this time, to steer our nation back on the right course! 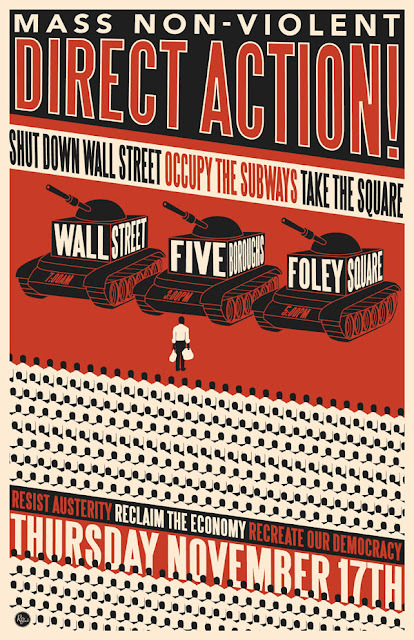 The radical images some press outlets have associated with the Occupy Wall Street protests encompass the New York Post this morning (click image to enlarge). The New York City Police Department (NYPD) moved in last night to shut down the squatters camp in Zuccotti Park. The protests near Wall Street led to demonstrations around the country some ending in violent clashes with regional police forces. Protesters ranged from tens of thousands to a waning 200 at the time officers cleared the park. New York cited health concerns as the reason for shutting down the encampment choosing twitter as means to communicate their intention to protesters. A group of resisters chanted "Whose park? Our park!" , regathering briefly as police officers tore down tents that have been setup for over two months. 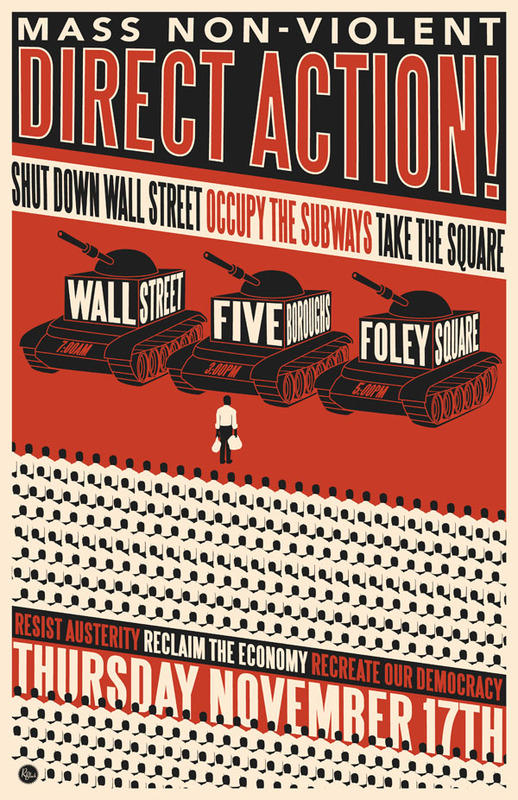 Protest organizers plan to shut down Wall Street in the morning (7:00 AM), Subways in the afternoon(3:00 PM) and Foley Square at (5:00 PM) this thursday. Branson, Mo (Tea Party Coalition Press Release) The Branson Tea Party Coalition will sponsor a polling location for the Missouri Statewide TEA Party Presidential Straw Poll. Polling will be held at the Branson Community Center, 201 Compton Drive, Branson, Missouri on Monday, November 14, 2011 from 5 p.m. to 9 p.m. Ballots will be cast via the internet at the polling location. 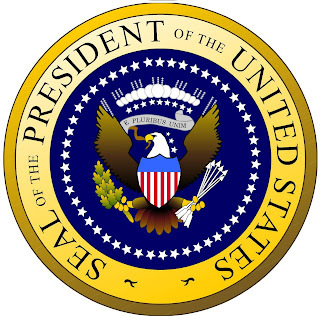 All Declared Presidential Candidates will be included in the Presidential Straw Poll. The results will be tallied with other Tea Party Groups across the State. 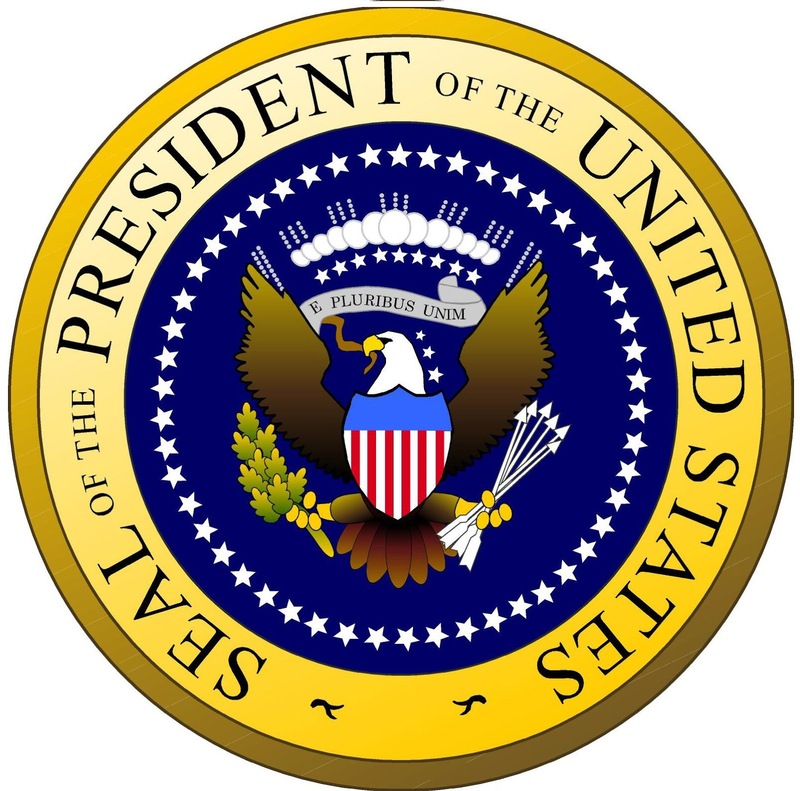 The results will then be released to local, statewide and national media for an overall Statewide Straw Poll for President across the State of Missouri. Everyone is encouraged to come. We will be showing some conservative videos along with serving up some delicious chili and having some great conversations about the candidates and how the Tea Party can make a difference in the 2012 elections. Please join the Branson Tea Party Coalition and make your voice heard on Monday, November 14th in the first ever Missouri Statewide TEA Party Presidential Straw Poll! While it's illegal to gamble online if you're an American; other nations have no such restrictions. A battle to change gambling laws was debated last month in Washington D.C.
Returns are based on odds European online gambling houses are currently accepting and change often.